Having successfully installed Windows Vista RC1 on my HP Pavilion zd7020US Notebook PC, I noticed that there were a few new features in this OS (Operating System) for the Tablet and so I’ve installed it on the HP Compaq tc4200 Tablet PC, after all it has a sticker on it stating its Windows Vista Capable. I’m quite pleased with the overall result as the laptop seems to working fine in most respects. My understanding is that when Vista is distributed they will distribute the same DVD irrespective of what type of OS you are planning to run and the license key will unlock the particular OS that you have paid for. 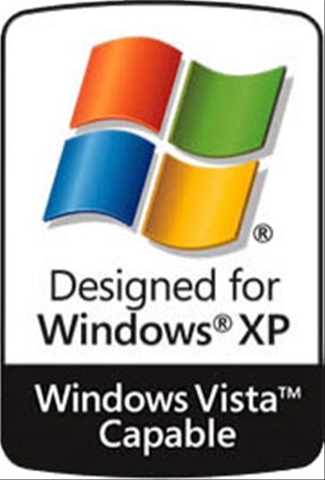 This is a different approach to that employed for Windows XP where there was a version designed specifically for the Tablet PC. Improve handwriting recognition by personalizing the handwriting recognizer. 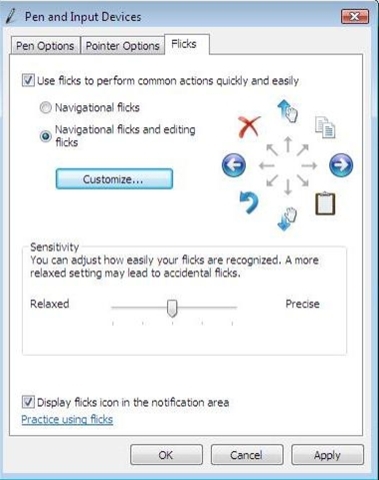 See pen actions more clearly with optimized cursors. Use the Input Panel to handwrite, or use the soft keyboard anywhere on your screen. Use the touch screen to perform actions with your finger (the touch screen is only available if you have a touch-enabled Tablet PC). 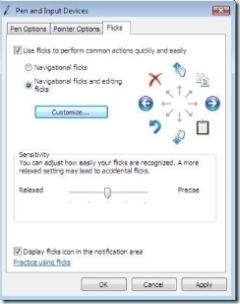 The feature I like the most is the pen flicks which allows you to perform a number of actions at the flick of a pen as highlighted in the diagram above.